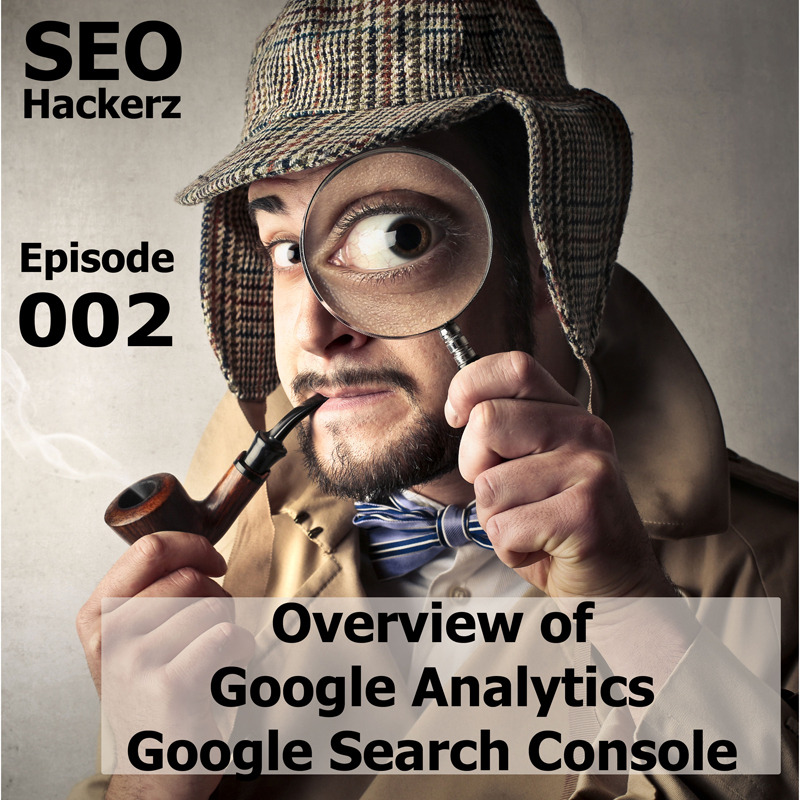 Episode Two of the SEO Hackerz Podcast is a high-level overview of Google Analytics and the Google Search Console. I talk about how to add them to your WordPress site. We talk about some of the features of Google Analytics and the Search Console that will help you grow your website traffic. We also talk about some SEO News regarding a Google Core Update and possible impacts. Don’t Forget to Join the Facebook Group at SEOHackerz.com. 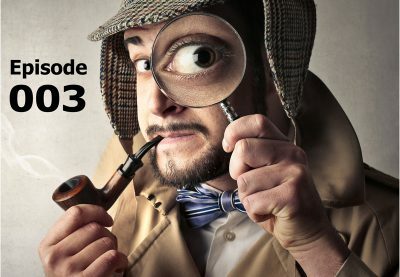 Hey Everybody, Welcome to the SEO Hackerz podcasts where we talk about SEO, what you need to know for your website to grow. I just came up with that off the top my head pretty cool huh. So I wanted to start by saying well let me share my screen to show you actually. So if you’re if you’re listening to this on iTunes or somewhere else then you’re going to want to go to YouTube or the SEO Hackerz’s Facebook group which is SEOHACKERZ.com to get there. The first thing I’m showing you right now is my Web site. And if you’re listening or watching you go to my Web site and type in or if you go to ScottGombar.com/audit or go to the bottom of the homepage and click on free local SEO audit. You can get a free audit of your Web site so you type in your Web site or whatever it might be let’s say Google and you could put in a competitor your and you could put in search as your e-mail and your phone number and a phone number is optional. So I am just gonna can say I’m just gonna leave it blank so you can see what I mean. Scanned 60 well it says takes up to 15 seconds but it sometimes takes longer depends on the server. And it’ll scan your website and give you a report. So I do offer that for free on my Web site and it’s actually on the homepage as well as the very top you know above the fold. You probably heard that before that actually was very quick. So Google beats Bing for the keyword search. Not really surprising as it. Go get your report. You can download as PDF it’ll get sent to you in an e-mail. And if you want me to help you with any of the things that I need to you to fix to that and let me know and I’ll help you out. The second thing in the news. So a few things in the news. First of all, if you hadn’t heard there was a Google core update, a core algorithm update last week. So you may have seen some fluctuation in your rankings and your traffic. There are some reports that analytics data is not accurate at this time. I have not been able to confirm that separately but some people are claiming that the data is not accurate. Along those lines, Google says rater’s guidelines is key to broad core update. So you may not be aware but there are Google raters. Google quality raters and what they do is people so you have the algorithm that tracks your website. But then you also have people that go out and look at websites and also rate them using Google Rater guidelines. I have the document saved. They removed the document from the Internet some I’m assuming there’s a new one coming but you can learn what they look for from this document. So key takeaways. Google’s guidelines explicitly instructs the raters to judge a site according to how a page satisfies a site visitors goals. Elements of equality shopping page, user intent as king, award and review cultivations strategy, be comprehensive and tasks on your site must be easy to complete. So if you go back to my say speaking of easy to complete on the homepage you can see tasks. First of all here is my menu right at the top, link to the podcast and you can get an audit right here at the very time at a page rate above the fold. OK. But that’s the kind of thing to looking for an about us section. They’re looking for that. A simple way to contact. They are looking for that. All those things are important. There are my phone number and email. So all those things are important for the human side of the quality raters. Not the algorithm but the actual people to go out there that are paid to rate Web sites. So Google says the core the algorithm the core algorithm update from broad core update from last week is attributed to raters guidelines. An article on search engine watch. The first one was search engine journal. An article search engine watch talks about how Alexa and Siri, and I would assume all voice search, so Google Voice and so forth. Not Google, sorry Google, Okay Google, Microsoft’s Cortana. All of those searches are impacting how people search. And the biggest takeaway here and this is on Search Engine Watch is that you people will ask questions. So here’s an example right here. When you type it in a search you might type in Indian restaurant in Houston. Versus when you ask Siri or any of the other voice assistants where you’re going to say where’s a good Indian restaurant in Houston. Any other takeaway which is something I wrote in my blog post about voice search and how to win a voice search is that you. It doesn’t. SBO doesn’t change because of voice search. But what becomes more important aside here too but more important is that instead of being, you know being top 5 being a good thing or top 3 you now need to be number one. Here it is a page 2 or even top five ranking isn’t what it used to be. As voice search gains traction being number one becomes more important than ever. So voice search means you’re going to need to be number one to be found on voice and they say by 2020 50 percent of all search will be voice. Somewhere else in this article it talks about how FAQs is a good way to rank for voice search. And so I’ve started. Here is why FAQ pages work for voice search. So I’ve started creating FAQ pages on my website. So I’m going to be doing this for my clients so that they can start showing up number one on voice search. Another tactic is, let’s see if they did it here. They did not do it here but something I’ve started doing on some of my blog posts most of them actually as show you. Where’s my blogs? If I go to this blog post here and so what we’ll discuss those four things or a short one or two sentence synopsis of what we’re going to talk about right at the top of the article. And then those sections are down further. Voice search isn’t going to return, you know I think this is twelve hundred words or something. Voice search is not going to return a 1200 word result is going to return a result that’s one or two sentences. Okay. And then finally in the news at Search Engine roundtable so they were the first one to break the broad core update from last leak last week sorry. Wondering was there also a google local maps algorithm update too because local rankings appear to have been jumbled up a little bit for some businesses and you can see in this screenshot here that in this example this result was not here before. So something maybe we don’t know for sure because it hasn’t been confirmed but maybe it’s local search results have also changed in the Google local park. So something else to look for. If you’re a Google local pack has changed. If you let your SEO you know if they don’t already know they should know. If they don’t then let them know that it’s a possibility that you Google Local Pack has changed as well. I’m just some news to be on the lookout for. Enjoy the episode. Alright, alright, alright. Welcome to episode 2 of SEO Hackerz. This week we’re going to talk a little bit about Google Analytics and Google Search Console so sit back enjoy the ride. I am going to screen share. Let me get started. So we’re starting off with the basics. Last week I did an overview of how Google search works. When you when you input a search query with how Google search determines what the most relevant output would be for you for your specific search query. And as I pointed out it is a little different for everybody. But now how do you know what is working for you as far as search goes, as far as your business or your website goes. So let me start by saying. Well, let me let me do a little housecleaning here. First of all, I am Scott Gombar owner of Scott Gombar SEO. This is the SEO Hackerz podcast where we record and screen share, so video as well, once a week and will be doing a live SEO Hackerz Q and A and so forth from the SEO Hackerz Facebook group. So if you go to SEOHackerz.com and that’s SEO H A C K E R z dot com, that’ll take you right to the Facebook group and from there we have some homework assignments for the members of the group right now. So one of the assignments is to figure out who you can guest blog with within the group. And the other assignment is some internal link building. Sort of an assignment/case study and we’ll be talking a lot about that live within the group maybe Thursday, if not this Thursday, then definitely next Thursday so I’m waiting to get some results back on that. My social media. So I have. Well, first of all my Web site my Web site is ScottGombar.com (S C O T T G O M B A R dot com) Instagram is the same thing (scottgombar) Facebook is ScottGombarLLC Pinterest ScottGombarSEO Twitter same thing ScottGombar and YouTube ScottGombar. I think I am forgetting one of ’em. Anyway I’m sorry you go to my Web site there are all linked up there. Again I do this every week. In future podcasts will have web website owners on and we’ll dissect our websites and see what they can improve on and so forth. So I’ve opened Google Chrome and I’m going to go over to a website that I just was not 100 percent complete but it’s pretty close. We launched it last week. I am going to write a blog in the near future. Let me see if I can remember now, hopefully I saved it, not sure if I did, about how you can launch a WordPress site using AWS Lightsail so if you’re not familiar with it AWS it’s Amazon’s Web Services and they have Lightsail which is part of web services that allows you to launch a WordPress site on their services. And so I’ve started moving customers over AWS Lightsail and I feel even when I had the same, the same specs on other hosts (Hostgator, GoDaddy) whoever I used. I feel the same specs on AWS Lightsail works much better so. You see this site loads right up and I used, I think I used, I think I used a 1 gig processor I think. So it loads pretty quick. So I think you know not being bogged down by the other stuff that’s on those hosting companies helps. So this is the Website I just, it’s almost on and needs more content. It needs a few other things but it’s almost done so it’s it’s live at this point. We’re gonna log in. So I do build primarily on WordPress. I can build by hand but for most people, that’s a waste of time. I prefer WordPress over any other CMS or any other website builder because you can do more with the SEO. So the first thing you’ll want to do is install Yoast. Well, install your SEO plugin. So I use primarily use Yoast. And what that’ll do is with any page now you can go to the uh, so let me go to the homepage here. Where’s the homepage?. You can check. I haven’t done that on this site by the way. But you can put in a focus keyword and it will tell you what you need to do to improve your content for that keyword. No, I haven’t done that for this Web site and I don’t. That’s not usually my reason for using Yoast’s usually is just because it’s easier to edit the meta tags and so forth that are needed on these websites. Plus it allows you to connect to things. For me, it’s easier. It’s just easier for me. So I don’t use that keyword feature as much as I probably should. An update to plug in when we’re here. Smush. If you’re not using Smush use it to optimize your images on your site. It’ll speed up your site as well. Alright, so Google Analytics and Google Search Console. We’re going to start with analytics because if you do analytics first it makes it easier to set up search console. Go to Google Analytics. So they changed everything around. I don’t know if you guys noticed this but you have to come here, for small businesses in an analytics. Sign In. I’ve already added analytics and keep close, Oh no, it’s right here. Let me move this out of my way. I’ve already added analytics to the website so the first thing you’re going to want to do is create an account. So you click create an account. You put in some basic information, the account name so you know the business name on the website name. The website name again, the website URL (HTTP or HTTPS). One of the reasons I did move over to AWS is because you can actually install HTTPS free. There’s a way to do it. There are probably multiple ways but I know of a way to do it and what you’ll see is you get a certificate My certificate renews every first a month. So I don’t really have to worry about anything here. And then on the pay GoDaddy 70 dollars or any other host whatever they charge. Host Gator charges 30 dollars per site. So I don’t have to worry about that. And oh you can get a static IP as well for no charge. Your industry, so it’s pretty broad industries that are listed here put you select your industry. So, in this case, this is a deli/restaurant. So I think I chose restaurant. Let’s take a look here. Food and Drink. Here we go. And your time zone. That’s important because it’s important to check to see where your traffic is coming from. And you click on get tracking I.D. Once you get that tracking I.D. let me go there, now this is the first time I’m actually looking at their analytics since I’ve set them up. I set them up, they moved over four days ago I believe. So we’re going to go to account settings, and that does not look right. It should be UA something and I’m not seeing it. Property settings. There we go. UA and then this number. So you need that number and you’re going to add that to the website. Now there is another way to do that as well. So I’m not sure if it comes with every WordPress install. It seems to be installed no matter where I install WordPress at this point. And that’s this plugin called Google Analytics for WordPress by Monster Insights. And that allows you to connect once you’ve created the account connect to your Google Analytics account automatically. So you authenticate with Google Analytics you select if you have more than one property you select the property. And now I can see my analytics on my WordPress dashboard. So it’s pretty cool. So August 1st is when I set it up it looks like. Wednesday that would have been my anniversary. So probably not. And then you can see a traffic spike maybe he sent, the owner sent some people to his website. Down the next day. Decent amount of traffic if it’s all local. Which is what we’re aiming for. So now what I didn’t do and I’ll get to that in a future episode is I did not set up a separate property for just the area he’s in. So what you should do is because I don’t. Let’s take a look at his traffic here. Let’s see where his traffic is coming from. Go to audience, overview. Really good bounce rate which means people are staying on the site. Primarily the U.S. Let’s go to city. Primarily New Haven. You get some from New York. But there could be mobile phones in New Haven. Branford. So it is a lot of local. Providence could also be a cell phone in New Haven. Sometimes my cell phone goes to Providence and I’m not sure why. This is useless. Probably not of any assistance in Santa Clara. And then Hartford, Milford, Wilton those may that may be legitimate. So the majority of it is local traffic which is great. But what I would have done is I would have set up a property for just the local. And I do that, I’ve done it out of clients so you can filter out irrelevant traffic so I would’ve filtered out Shanghai and Santa Clara possibly. And maybe even drill down further. Because it is a local deli/restaurant in New Haven so that that would help him figure out what his real traffic is. You’ll you’ll notice a lot if you go to some websites analytics that they have they get traffic from all over the world, they get referral traffic from strange sites and so it’s not helpful. It’s not really good traffic and I could show you some but I don’t want to expose any client data. This is new so this is not really I haven’t done anything here to drive traffic yet. Okay now, so we set up Google Analytics. We’ve attached it to the website. So the traffic you can see is there. The data is there. Since this is five days. Today is the 6th. Five days worth of stuff. He has two referral, so this is his other domain that’s coming to him. And then his, Facebook page. This says he’s getting traffic from the Philippines too so that’s not great. Tells you which pages are the top hits. Obviously the home pages usually the number one hit. Looks like the menus are getting some traffic. So only five days worth so now a lot of data yet but we’ll chug along to see how we go there. So now analytics is set up. Google Analytics is a very very powerful tool. We’ll be talking about this quite a bit. I shared in my Facebook group. Let me go over there and show you what I mean. S E O H A C K E R Z.com. Oh, it helps if I type it right. Let me do it again. I shared a post from Search Engine Journal I gotta log in. Here let me just go to Search Engine Journal. Let me go to my e-mail. Today, here it is, Four Ways to Use Google Analytics to Find Content Ideas. And this is really important because next weeks post is going to be about this. Repurposing Content. Next week’s blog, I’m sorry next week’s podcast will be about repurposing content. So we’re going to have a podcast about repurposing content and how it helps traffic. I’ve done it a few times and every time I repurpose some content traffic goes, it almost doubles every time, like 90 percent jump in traffic for that one post. By just going back to an old post updating it for relevancy and then sharing it again. Did that. the last one I did was probably a couple months ago and it went really well. So we’ll talk about that next week so now we have analytics set up and you can see who your audience is, where they’re coming from, how they’re getting there. Go to demographics, I can see the ages. You know I don’t know how accurate this would be. That’s not an enabled yet, see that. Gender. Probably not enabled yet. Oh, it is. With no data. Geography which we already saw. Behavior what do they do when they get to the site, or new vs. returning. So there should be all new at this point. 76 frequency, engagement, what are they doing, how long are they on the site for. So this is great. 1800 seconds. I think after 1800 seconds it stops counting. So that’s what?? Divide it by 60, 30 minutes. So if you’re in this range here you’re doing really good 31 to 180. You’re doing really good. So he’s got a lot of people staying on the site for a while. User flows is awesome tells you where they’re going and where they’re coming from and where they’re going. So maps out where they go after they get to this landing page and this landing page. Two people from China are going to fine food menus. How you are acquiring them. Very important information. A lot of people are searching. This bodes well for me. That’s the lowest bounce rate. So it’s interesting because besides referral. So that’s interesting because that means that people are looking for and finding what they’re looking for and staying here because they found it. Now organic. Yes, you’re not going to get to get query information. So two searches for Amazon and the rest were not provided but I want to show you how you can find that information. Two three referrals I think we saw that already. Two of them or one of them was from PNMOrangeStreet.com which is his other domain that points to it. Behavior, conversions we have not set up conversions but we will. Conversions are important. If you’re not measuring something you know what, how do you know what people are doing. 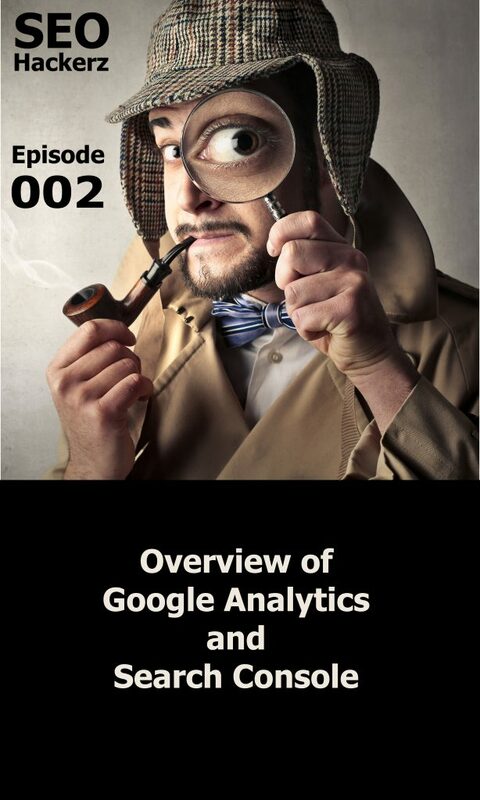 So that’s a quick overview of Google Analytics. There is a ton that you can do with Google Analytics. You can really dive down and I’ll tell you what you can actually go to Google, What is it called Google Academy I think Analytics Academy or Ads Academy. Something like that. Let me see if I can find it for you. So they have Google Analytics Academy. They have free courses on Google Analytics. And you can take them. I’ve taken them. It’s been a few months since I’ve taken this one and probably a year or so since I’ve taken those. So I probably need to do a refresher. But you know you could do the same for AdWords and a whole bunch of other stuff. You can see down here, Blogger and Google Plus and Google Analytics for YouTube. So good stuff you get free training. I’m going on it because there’s a lot I can do with it. So now let’s talk about Google Search Console which I think is probably even, might even be more important. So now that you have Google AdWords set up it’s really easy to set up search console. And I just know how to get to it this way. It used to be called Webmaster Tools, it’s not anymore. Probably just typing Google Search Console and it’ll come up. So again I’ve already set him up but let’s let me show you how to add a property. You put in the website name. Just p and m orange, just so you can see the process. Now it’s easier to do because I’ve already connected to Google Analytics. So it’s going to give you some options. The first option is to use the registrar and add a txt record to the DNS records. So if you’re not familiar with editing DNS records you’re probably not going to be comfortable doing that. Even though there are instructions on how to do it. Or you go to alternate methods which is what I always do. Click Google Analytics and verify. And as long as you’re logged into Google Analytics as well it’ll see the property and attach it. So that’s really easy. So let’s go back take a look at uhm and so there are two versions of the Google Search Console. So there’s a new version. I don’t see a link for it anymore. It took me to it the other day and it didn’t have all the tools that the old one does it and it’s the same thing for AdWords so we’ll stick with this version for now. So you’re probably wondering why do I have it here twice. And the reason is that some people will go to your Web site by just typing in pm orange street or pmorangemarket dot com or some will actually put in the W W W. So within Google Search Console you will have the option of defining which one you want as the default property. I usually use it, I usually set it to no preference but you can set one or the other is the default property and it looks like it’s using the other property. Because there are no clicks here. So let’s go back. Oh here it is trying to search console but look at in a moment. No clicks here either. Did I do the same one twice? So it looks like it’s not seeing any search analytics but it does have a sitemap. So that’s going to be the first thing you do is set up the sitemap. So you go. And so what happened once you enter this website into your Google Search Console you’re going to get an email and I just saw it today actually even though I set it up. I may have deleted it. But you get an e-mail. It actually looks like this. I have messages. Oh, that’s not it. Target. here improves the search presence. So it tells you to add the site. So this is telling you to add the WWW and the non-WWW. Select your preferred version so if I click that it’ll tell me no don’t set preferred. Don’t set a preferred domain and let Google optimize it for my site. That’s the crawl rate. So it may not have crawled it yet. It’s only been five days so it’s very possible. Uhm choose a country. In this case we chose the U.S. And this is not accurate either. But again it’s only been five days so it’s very possible. Target users in the U.S. Manage site workers were not… I didn’t do that but you can add site users, I’m sorry, you can add site users. So if you want somebody else to help with search console you can add them. Submit a sitemap file. This is probably the most important part. So you add your sitemap. So you get these extensions. So if you’re using Yoast that’s the default sitemap xml. So you just add that, submit it so you can see it hasn’t, it’s not done yet. So as 260 been summited it’s not done yet. Again because it’s been five days, so let me go to a different property so you can see what I mean. So you can see this is a client, this was, this was a client. I actually wrote a blog post about this client. Their traffic has dipped significantly, but you could see how people are finding the property How they’re searching for it. So they get one click for Coastline Painters, one click for painter. This is in the last 28 days and then again nothing else. But these are all the things that people have searched for in the past and arrived at the site for these things somebody misspelled painters. So this is it. So this is something to look at somebody might… yard vacuums. That’s interesting. But these are things that people are looking for to get to your site. That’s how you find out what people are searching for when they come to your site. So it’s used to be in Google Analytics. It’s not anymore. Now it’s here and this is how you can determine what you want to write a blog post about. So if I was maybe I’ll write a blog post about indoor painting since summer is uhm rapidly coming to an end for about three or four weeks left. Maybe 6. There is how much it cost to a paint house. You could do a post about cabinet painting, which I think we actually did on their site. So these all, this is how you find post.. content ideas. Because this is what people are searching for. OK. So this was a brief intro to, so search console once you connected to Google Analytics and submit your sitemap. So if you want to do that manually you go to crawl and sitemaps and you just enter the same information and add a sitemap. OK. So now. OK. That’s what it looks like once it’s indexed so you can see 103 of 115 pages are indexed. Let’s go to the new search console so you can see that too. You can see they don’t have everything yet. This is new URL inspection but they don’t have everything in a new search console yet. So once they do we’ll do a podcast about that. We’ll go back to the old and you see they have everything here that you could possibly need. So if I were to go to Action Law Group, this is over the last about three weeks. And there are messages here. What we got going on? A new AMP issue. Oh, how did I miss that? That was a month ago. Your required structured data… So AMP is accelerated mobile project and we’re going to have to take a look at this. We’ll take a look at that later. AMP is accelerated mobile project. It’s Google’s project to speed up the mobile Internet and what it does. And I’ve written about it on my website ScottGombar.com. You can always look it up there. But what it does is it basically strips down your web page, gives you a stripped down version of your web pages and submits it and caches it on Google’s server so that it loads quicker when people search for it. So we have an issue here I’m gonna need to address apparently. Doesn’t give me a lot of detail. It’s weird! Canonical version. Invalid structured data. after a contract. I’ll have to look into that. WordPress has a plugin so it does make it easier. By the way, it defaulted to the new search console so that’s interesting as well. But what else can you do here? So you see it gives you your warning messages. Messages, I’m guessing new index coverage. Oh no, that’s different too. as a newer submitted URL seems to be a soft 404. I don’t know what that is. There was an issue, if I remember correctly, that their site may have been down briefly. I think there was an issue with the code. So I think that’s OK. I think that’s OK. There’s no way to delete that. OK messages…so this is done. Alright you, so you’ll get messages about and so if you get messages about security issues you’re going to want to address them. Search appearance, so you’re structured data, which is where I’m going to review in a few moments. Rich cards. I don’t use Rich cards. Do you structure it so that that’s rich snippets so I don’t know if this is somehow the same? Data Highlighter. I don’t use that either. HTML improvements. So this will tell you if you have any of these things. Now I use third-party sites for this. 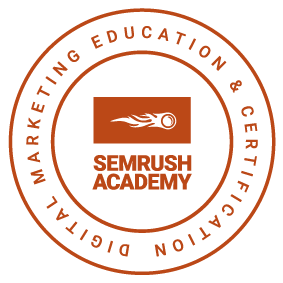 I use SEMRush. Accelerated mobile pages we just saw. Wonder why it’s not all pages, it’s just seven pages. It’s just the blog posts. Search traffic. So you get your search analytics. It’s going to be basic analytics. Links to the site. This is also important so you could see, this is, this is a, that’s why I didn’t really want to use these because this is not a good site to use for this. Internal links. So you’re gonna see my project on that later this week. Manual actions, so if Google’s taken any manual actions against your site. There is a big thing going on right now with manual actions and that is if you say has it they’ve detected that your site has coin hive on it. And I’ve run into it. If you’ve been to a Web site where suddenly your website your computer starts racing, the processor starts racing, the fan starts racing, then you are likely on a site that has coin hive. It’s using your processor to mine bitcoin. So be wary of that. So Google is doing manual actions for websites that they detect having that. International targeting. We already saw that. Mobile Usability. No mobile usability errors. So that’s good. Google index. Index status. Total index pages 58. We need to bring that up. Blocked resources. So you can see this is only a few months old. Blocked resources. The only thing it’s blocked is API for Pinterest. Remove URLs. I don’t know why they would be. Crawl. You can actually fetch as Google. I don’t recommend doing this a lot but you can do that. And what it’ll do is it’ll go out and get that page, the version of that page and bring it back in to search console. You may want to do that if you wanted to index a page faster or there are a few other reasons why you might do that. I tend to avoid that. As you can see with the page with submitted last week it hasn’t gone out and gotten it yet. So I wouldn’t do that. Robots.txt tester. Test your robots.txt file. The sitemaps we saw already. URL parameters. Use this feature only if you sure how parameters work. Incorrectly excluding URLs could result in many pages disappearing from search. So you don’t want to do that unless you know what you’re doing. Any security issues you may have. There aren’t any. You may have to deal with google sometimes if this comes up. And I just did this with actually with this with this business they were Google was saying there was an issue with the site through AdWords, but they were not saying it through a search console. So it is interesting because there weren’t any issues. We weren’t able to come up with anything and finally, AdWords said okay there’s no problems. And then the ad experience report. So that’s just a quick overview of search console and Google Analytics. How to set that up. So now you can see I can, I don’t even have to go to Google Analytics anymore. I could see what I want to see here. So this is if the client maybe they want to see a basic overview. You’ll get a lot more information from your Google Analytics from Google Analytics itself and then I would also set up properties so if you, if it is a local business you’re going to want to detect traffic for that local business. And locally not nationally or internationally because that’s not really accurate information. You can and from here, you can see where it’s coming from and I use UTMs as well so you can tell when you know I’ll set up UTM for Facebook, for Twitter, for wherever I’m posting. And this way I could see what’s working and what’s not working. Email and so forth. So that’s that. And next week we’ll be talking about repurposing content. And I believe Thursday night, and I can’t commit to it just yet but I believe Thursday night, and if we do it’ll be late. 9 or 9:30 pm EST. I will get on the Facebook group and go live and do a Q and A. And we’ll also talk about the internal link project that we started last week and see how that’s gone. I could tell you that the results are not what I expected so far. And again it’s only been, started it last Wednesday. So it’s only been five days. If you want to join that group go to SEOHackerz.com. That’s S E O H A C K E R Z dot com. This video will be uploaded to YouTube on my website at ScottGombar.com, my Facebook group, as well as the podcast, submitted to, for now, Apple, I haven’t gotten, so Apple iTunes, I haven’t gotten a chance to put it on Google yet. Maybe I’ll do that today. So until then visit me at ScottGombar.com or any of my social media platforms. Join the group. Come hang out with us and learn about SEO or contribute even if you know some about SEO you can contribute. I really hope to see you guys there. Til next time go.